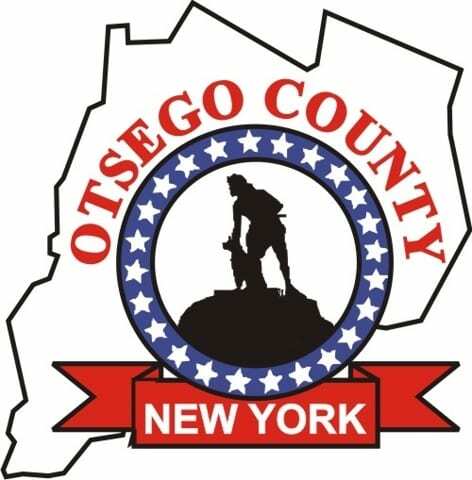 Editor’s Note: Troop C, which includes Otsego County, released this account of the shooting exchange last evening in the Town of Kirkwood, Broome County, where the investigating trooper was injured and the suspect killed. 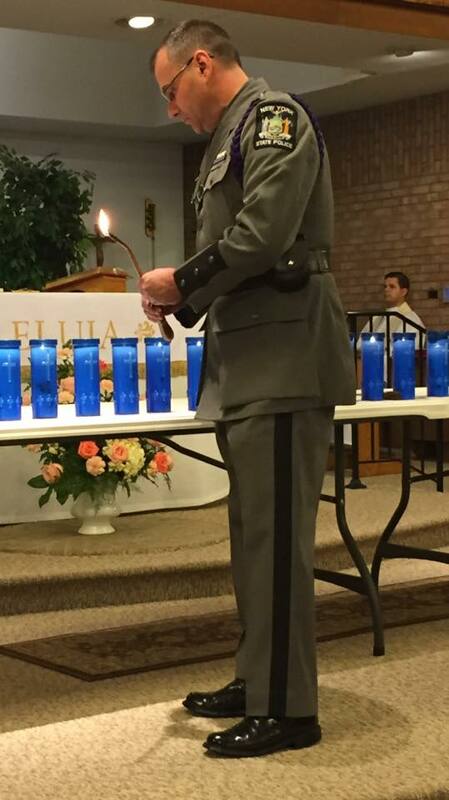 Trooper Conklin lights a candle at last July’s funeral in Vestal for Trooper Nicholas Clark, shot in a standoff. Last night, Trooper Conklin had a narrow escape. Why did military style have to be added. A semi auto is a semi auto their all the same. Throw the gun under the bus. it did the shooting all by it self. Art, because the media has the same AGENDA as the anti2A governor. “Military style” I believe is distinct from “police style”, which is respectful of casualty count. 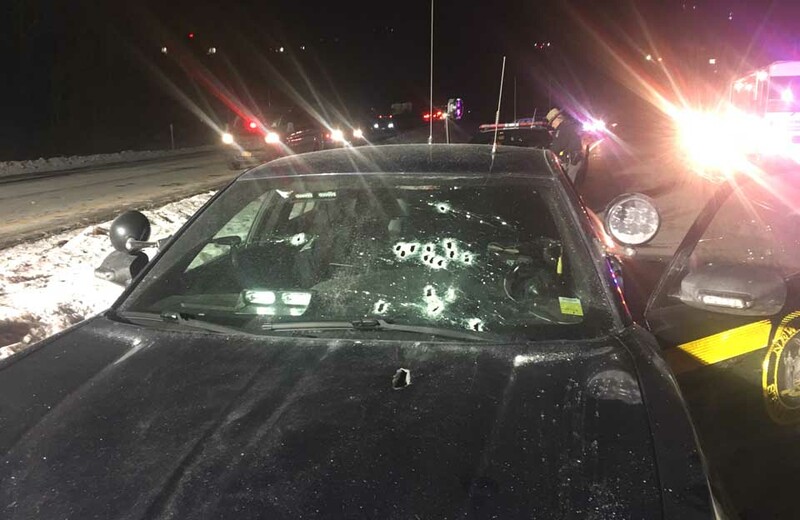 It was certainly not to distinguish the officer’s superior handling of the situation when using a defensive handgun to engage an offensive rifle. Cheers. Great police work … our heros continue to put their lives on the line every day. Sounds like this guy wanted to die … very sad. Art Miller, perhaps because there are some of us who are not well-versed in rifles, and those words help us see more clearly the kind of rifle being talked about? At least for me personally, it helps me understand what the trooper was seeing. What a tragedy! Sounds so scary, unlike my non military style semi auto hunting rifle (that fires just as quickly and has larger rounds)… Great job by the trooper, a true warrior. 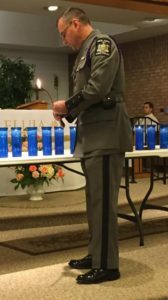 Having retired from the New York State Police, I am glad to see my former academy classmate come out on top in this tragic situation. Stay safe, my friend and sleep well…you did your duty. too many hours at grand theft auto.good job officer. Sharon Rankins-Bard, I’m curious how “military-style” added to the description of a semi-automatic rifle is instructive for you. That phrase is a political buzzword, and has no industry standard or meaning. Without the NYSP releasing the true type of rifle in evidence, what you rely on to draw your mental picture can literally apply to hundreds of models of semi-automatic rifles in circulation… Think about it, those who would like to do away with guns love you to see the scary images they’ve planted there over their years of media manipulation. I have 27 yrs in law enforcement currently retired. The Trooper shot through his windshied!!! People don’t realize you can shoot through glass, bushes, drywall, car doors… Fantastoc old school tactics Trooper. Well done. I am thankful the trooper survived the encounter. 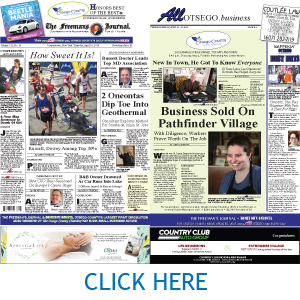 The weapon used by the offender has no bearing on how the event occurred. 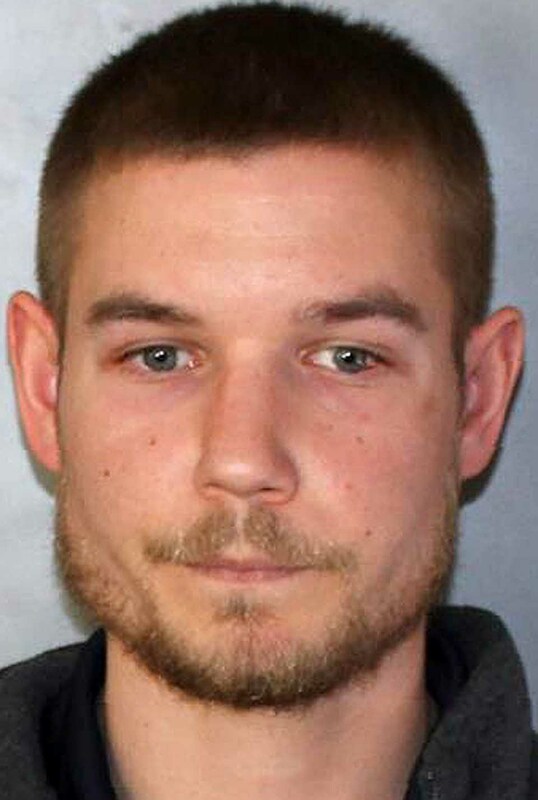 He was armed and attempting to kill an officer. Sadly the trooper may have to learn how to live with the incident. Hopefully the trooper will realize he did not cause it and that the assailant chose the out come! Stay strong brother.